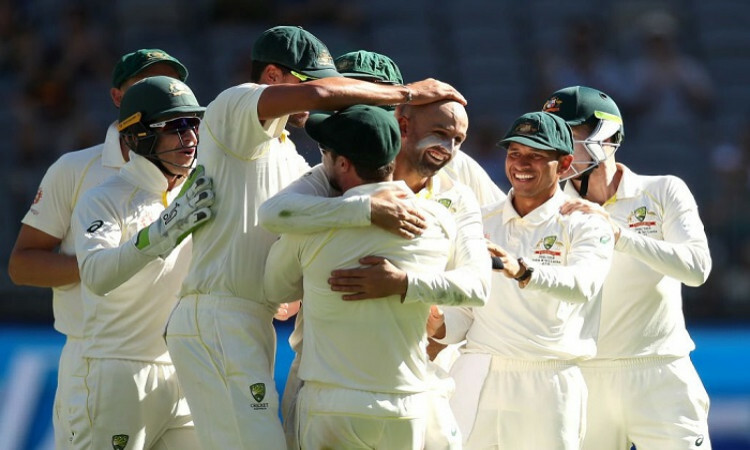 Perth, Dec 18 (CRICKETNMORE): Australia defeated India by 146 runs in the second Test to level the four-match series at 1-1 here on Tuesday. India were dismissed for 140 runs in their second innings on the fifth and final day. Starting the final day at the overnight score of 112/5, the visitors seemed over-awed by the daunting challenge of getting 170-odd runs in difficult conditions against the formidable Australian bowling. The Indians needed at least one big partnership but none of their batsmen could stick around for too long and were bundled out pretty quickly. Nathan Lyon and Mitchell Starc was the most successful among the Australian bowlers with three wickets each. Although the pitch did not have too much turn, Lyon did well to outfox the Indian batsmen with his variations and richly deserved his match haul of eight wickets. The visitors lost their first wicket of the day soon after the start when Hanuma Vihari was dismissed by Starc. Pant was dismissed by Lyon a short while later when he went for a drive and the inside edge went to Peter Handscomb on the onside. The Indian tail did not wag too much and the Australians cleaned up the remaining wickets to clinch a well deserved victory.